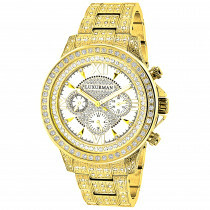 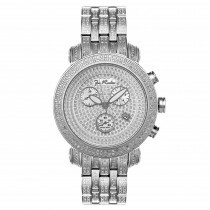 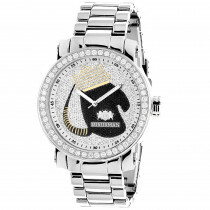 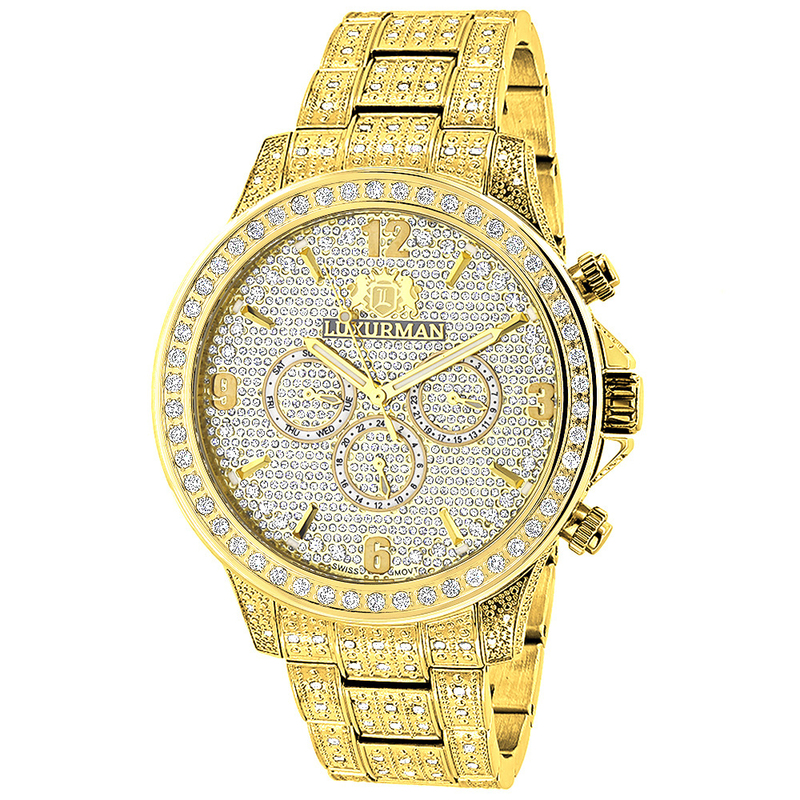 This designer Luxurman Iced Out Mens Diamond Watch is Yellow Gold Plated Liberty model and is fully paved with 3 carats of genuine diamonds: on the bezel, sides of the case and band. 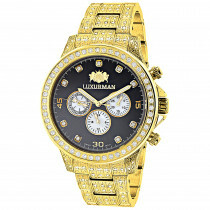 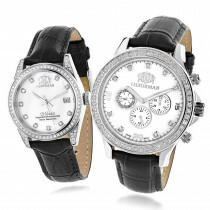 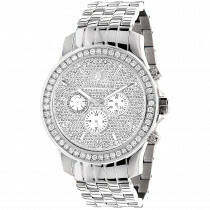 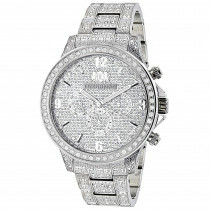 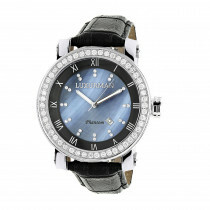 Featuring a face fully encrusted with sparkling stones and three subdials, this luxurious men's diamond watch by Luxurman comes with two extra interchangeable leather straps in different colors, conveniently water-resistant and is quality made with Swiss Movement and includes top industry warranty of 5 years. 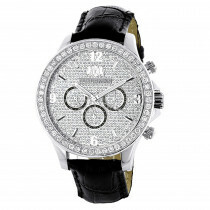 for my personal use I bought this watch . Quality is excellent and priced just right !